3D LOGIC PUZZLE GAME The twisty sphere is available in several combinations of 2, 4, 6 or 8 colors and it offers five difficulty levels or stages. The goal is to solve this three-dimensional puzzle. Through 9 different types of movements used, including 2 meridional and perpendicular to each other, 1 equatorial and 6 polar. Even though the level 4 sphere has the same colors as the level 3, the difficulty is much higher because they're spread differently. Instead of two colors for the main body like the previous one (excluding the two colors of the poles), the Contrast Sphere has four colors. Brain, skill and dexterity developing puzzle, supportive and fun-to-play-with. 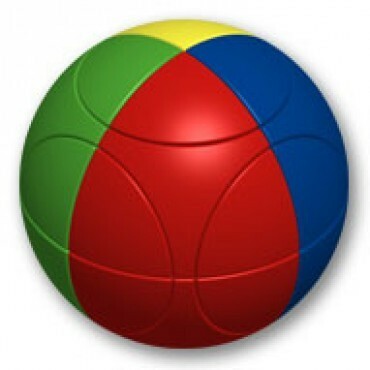 The Marusenko Sphere is a unique ball-shaped puzzle which is divided into eight octants by three perpendicular cuts and moves just like a 2×2×2 puzzle ball. 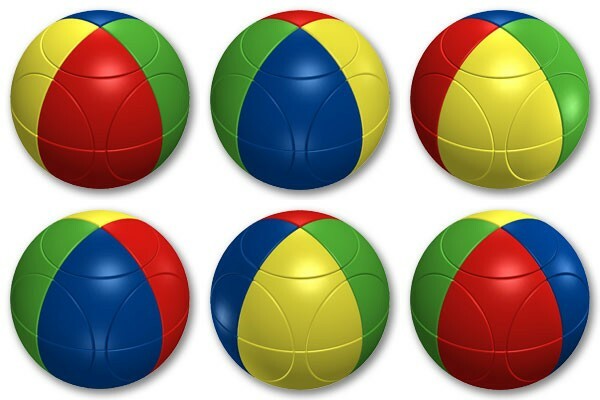 Unlike other puzzle balls, this puzzle also has 24 pieces arranged in 6 circular faces. 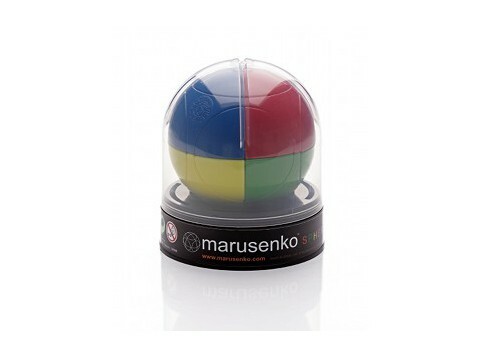 The Marusenko Spheres are divided into 5 levels of difficulty. The Black & White sphere is a Stage 1 puzzle and has up to 7,889,304 permutations! Each sphere comes nicely packaged with a stand and protective transparent case, which makes for a great display item. Produced in Spain and designed by Felix Perez and Alexandr Marusenko. If you want to get the most out of the Marusenko, try to get the five levels available and start at the first level, working your way up to level 5. Highly recommended for any Twisty Puzzle collector.